Lelande, Harry Jason (1871-1965), in 1911: 257 South Spring, Los Angeles, Room 22 Court House, Los Angeles, California. He was born October 28, 1871 in Sonora, California, son of Peter Jason Lelande and Adele St. Cyr Leland. He attended Los Angeles public schools from 1877-1885. He studied at St. Vincent’s College 1885-1886 and matriculated into Phillips’ Academy, Andover, Massachusetts 1887-1888. He then studied at Sheffield Scientific Department at Yale University in 1889. He returned to California and began studying at Santa Clara College 1889-1890. On August 19,1896 he married Mary Winifred Davidson in the Episcopalian Church, Pasadena, California. They had five children. Reginald D. Leland, Grace Dorothy Leland, Marjorie Helen Leland, Davidson S. Leland, and Patricia Leland. He began his career as a clerk from 1890-1892 with the firm of Edwards & McKnight, booksellers and stationers 114 West First Street, Los Angeles. He purchased McKnight’s interest in the firm in 1892 and the firm was renamed Wm. M. Edwards Co. In 1894, he bought out Edwards and sold the business to Whedon & Webb Co. in 1895. He entered into the fire insurance industry with Victor Wankowski from 1896-1897, and went into business alone in 1898. He entered into Los Angeles municipal government as an assistant assessor under Ben E. Ward 1899-1900. He became the correspondence clerk for W. A. White, the City Tax Collector from 1901-1902. 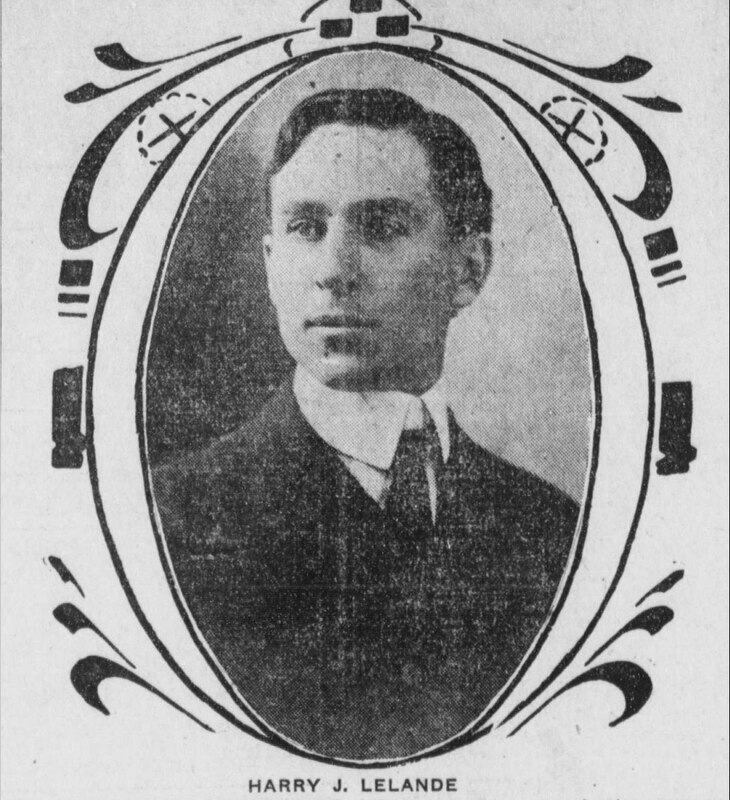 He was elected City Clerk of Los Angeles in December 1902. He reigned in 1910 to take the office of the County Clerk in January 1911. He resigned in May 1919 during the De Leonis case investigation. He was the Director of the Banker's Loan Guarantee Company. Director and Treasurer of the Grizzly Bear Publishing Company. Director of the American Machine Tool Company. Director of Gates Oil Company. He died September 1965 at age 93. He was an avid collector of stamps, coins and was a naturalist and amateur ornithologist. He was a member of the American Philatelic Society. He was president of the Cooper Ornithological Club; a member of the Union League; and the Los Angeles Athletics Club. Secretary of the Vernon Athletic Association. In 1910 he was president of the Los Angeles Athletics baseball team. Hollenbeck Lodge of Masons, Elks Lodge No. 99. He was member no. 1523 of the ANA since October 1911. On September 20, 1928 he held a coin auction of the Alonso Paige Lansing collection listed in Martin Gengerke. Of special notice he purchased William Poillon’s copy of Numisgraphics. Lelande’s copy was purchased by Charles Chopnick (1907-2005), who had it bound by Arthur Rahm Bookbinding, Colorado Springs, Colorado. Chopnick was an optical manufacturer and president of Pacific Universal Products in Pasadena, California. Lelande's copy of Numisgarphics is now in the American Numismatic Association Library. Catalogue of the Collection of Coins of Alonso Paige Lansing to be sold at auction September 20, 1928, Los Angeles, California. Who’s Who on the Pacific Coast.